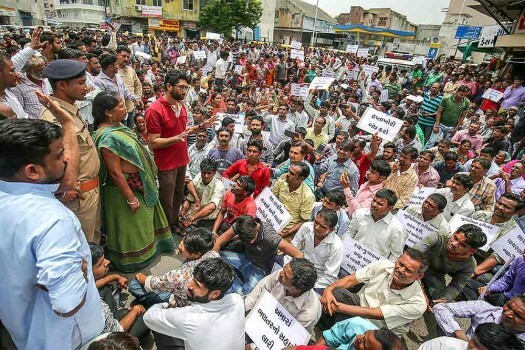 Gujarat MLA Jignesh Mewani and activists protest during the 'Bharat Bandh', called against fuel price hike and depreciation of the rupee, in Ahmedabad. 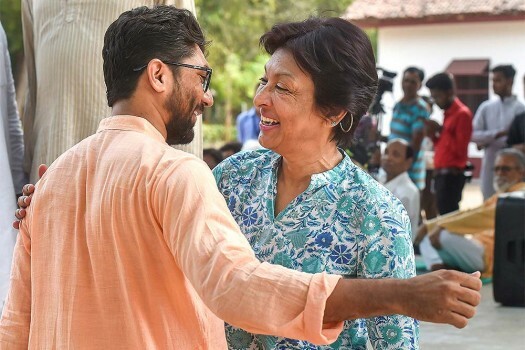 Classical dancer and activist Mallika Sarabhai Shah and MLA Jignesh Mewani at the India Pakistan Friendship & Peace March, in Ahmedabad. 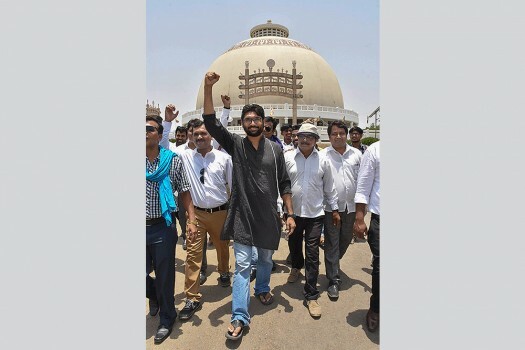 Dalit leader and Gujarat MLA Jignesh Mewani with supporters leaves after paying tribute to Bhimrao Ambedkar, at Deekshabhoomi, in Nagpur. 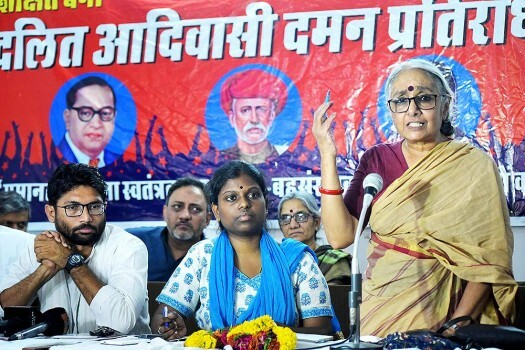 Social Activist Aruna Roy and Gujarat MLA Jignesh Mewani during a press conference at Mazdoor Kisan Bhawan in Jaipur. 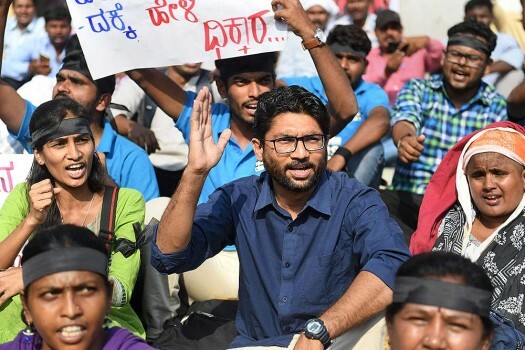 Dalit activist Jignesh Mevani raises slogans during a protest against the death of Dalits during Monday's 'Bharat Bandh', in Bengaluru. 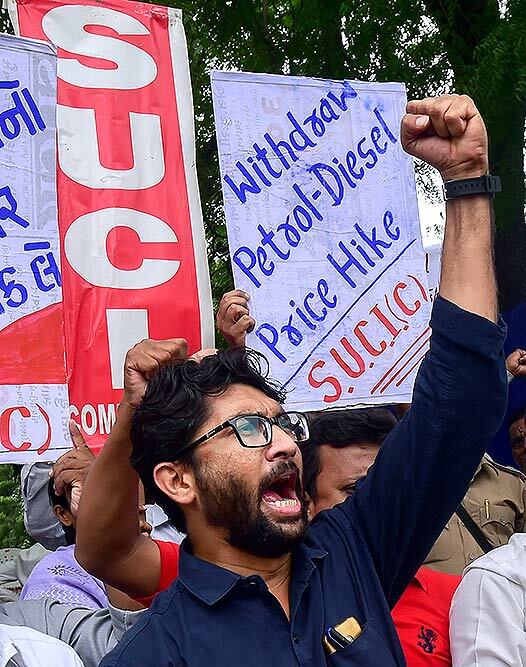 Gujarat MLA Jignesh Mevani addresses the media outside Press Club in New Delhi. 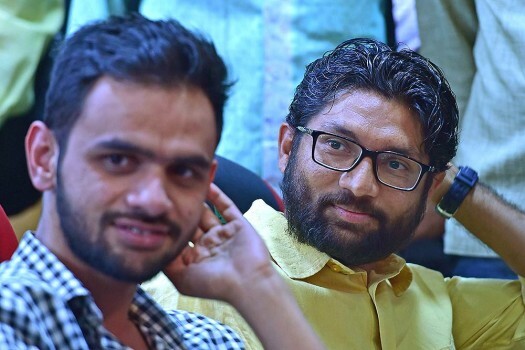 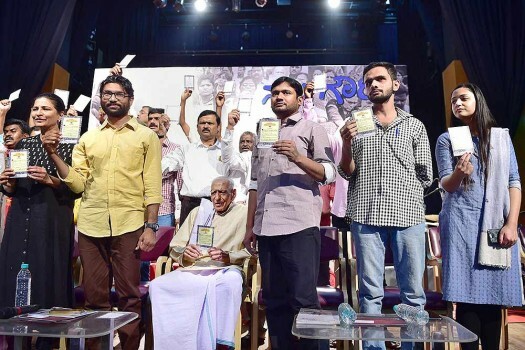 Dalit leader Jignesh Mevani and student activist Umar Khalid during an event to commemorate Gauri Lankesh's birthday, in Bengaluru. 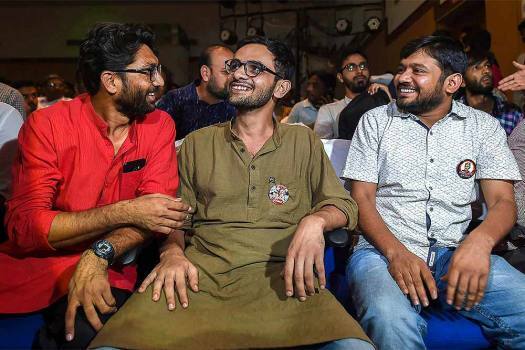 Dalit leader and Gujarat MLA Jignesh Mevani with Kanhaiya Kumar and Shehla Rashid Shora during the 'Youth Hunkar' rally in New Delhi. 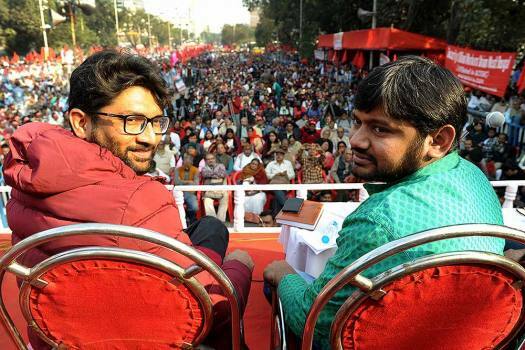 Dalit leader and Gujarat MLA Jignesh Mevani with Akhil Gogoi (R), RTI activist from Assam during the 'Youth Hunkar' rally in New Delhi. 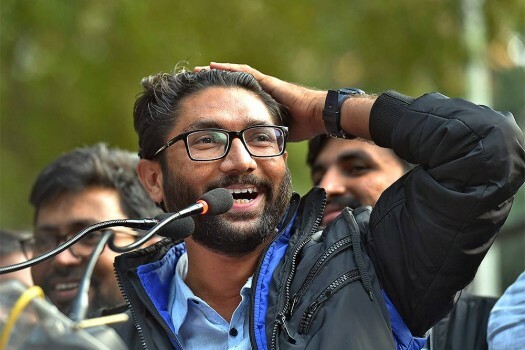 Dalit leader and Gujarat MLA Jignesh Mevani addresses the 'Youth Hunkar' rally in New Delhi. 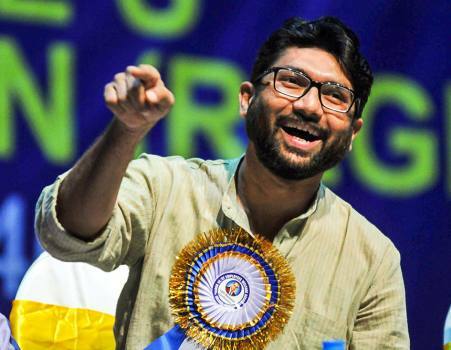 Mevani made the accusations while taking part in the motion to thank Governor O P Kohli for his address to the House. 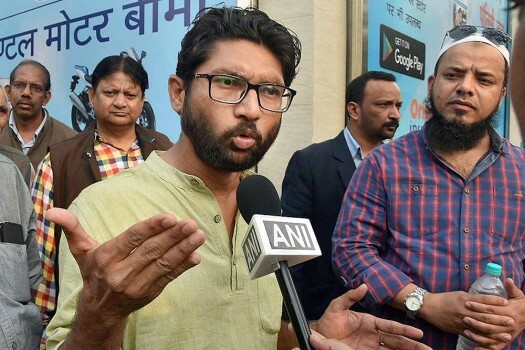 The trio "raided" the house of a woman with over a dozen supporters claiming they wanted to expose the alleegd "liquor den" operating there. 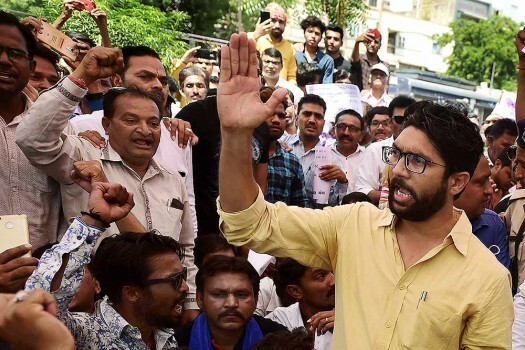 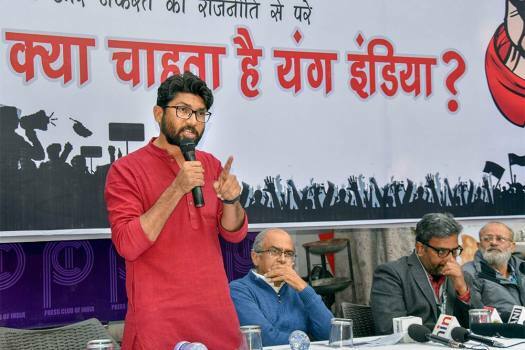 "I request my dalit brothers and sisters to protest as much as they want, but please don’t destroy public property as it is our tax money,” Mevani told reporters. 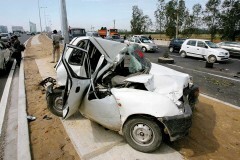 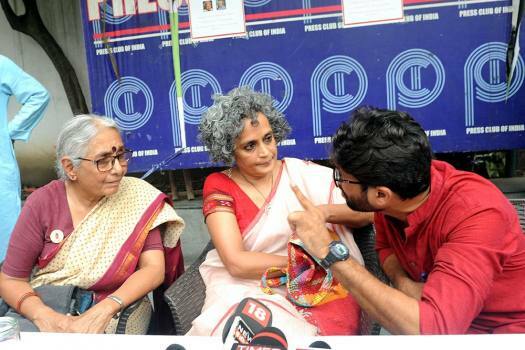 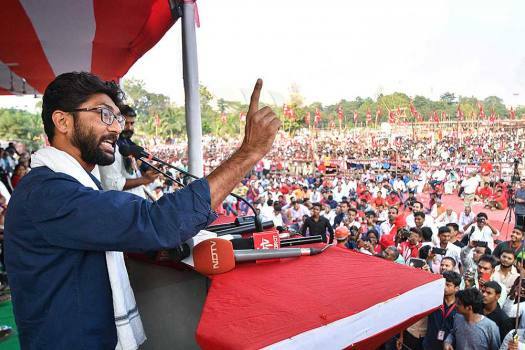 Mevani has alleged the police pulled him out of his car, broke his car keys and detained him on way to a protest at Ambedkar statue in Sarangpur, Ahmedabad.